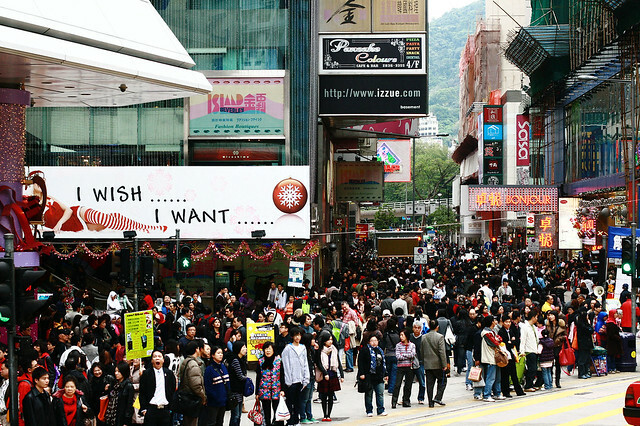 Could Causeway Bay get any more crowded? Let’s do less to attract Mainland tourists. That’s the view of some legislators as they call on Hong Kong Tourism to reduce spending in China. In 2008, CLP signed the 10-year Scheme of Control agreement with the government, which determines CLP’s permitted return. An interim review on the agreement is set to take place this year. When announcing its 2012 annual results yesterday, CLP claimed that it would not accept unreasonable amendments of the agreement terms. According to CLP Chairman Michael Kadoorie, CLP’s fuel costs are expected to surge by 250 percent from a 2011 baseline by 2015 and therefore electricity prices would have to rise significantly in the next few years. CLP recorded a 8.8 percent drop in group operating earnings to HK$9,406 million in 2012 due to earnings decline in Australia and India. A pan-democrat plan to “occupy Central” may soon become an international topic. Next month, during a meeting of the United Nations Human Rights Council, the Democratic Party plans to raise the proposal of Hong Kong University Associate Professor of Law Benny Tai Yiu-ting to start an “occupy Central” movement in order to call for democratic elections. Additionally, the proposal to “occupy Central” has caused debate among lawyers with some saying that no lawyers should break the law and others saying that it was important to uphold such core values as universal suffrage. As Hong Kong Tourism Board statistics indicate that the growth in mainland tourists will be higher than that of other tourist groups in 2013, some legislators are suggesting that the board not to spend significant resources on attracting mainlanders. They are also suggesting an end to multiple-entry permits for mainlanders. Yesterday, Tourism Board Chairman Michael Tien denied that the board is blindly or excessively seeking to attract mainlanders, emphasizing that 70 percent of its promotion funding is not aimed at mainlanders. He urged the public not to publicize information that would be unwelcoming for tourists. He also expressed his support for multi-entry permits and called on the public to avoid making excessive requests.